The state Department of Health has proposed an amendment to the Hawaii Administrative Rules that would prohibit new cesspools and gradually phase out existing ones through a mandatory upgrade to a septic system upon sale of property, as recently reported (“State department proposes cesspool conversions,” The Maui News, Sept. 16). This proposal from the state fails to take into account impacts on communities across the state. The department acknowledges there are currently 90,000 cesspools throughout Hawaii, with more than 13,400 in Maui County. Our highest concentration of existing cesspools is in Upcountry Maui, followed by the Iao and Waihee areas of Central Maui and the Maui Meadows neighborhood in South Maui. The department says Hawaii is the only state that still allows construction of new cesspools, and this practice may put federal funding at risk because of concerns about pollution. While the environmental goals of the new rule may be commendable, this Oahu-centric proposal fails to recognize that County of Maui infrastructure isn’t prepared for a complete ban. The majority of Maui County residents don’t have access to sewer systems. Wastewater treatment in Maui County, in contrast to the City and County of Honolulu, is still dependent on individual wastewater systems, like cesspools or aerobic treatment units, that don’t connect to a sewer. Requiring residents to upgrade individual wastewater systems at this time would cause a great financial burden. The proposal is insensitive to farmers and other residents of rural and agricultural communities, which are already regulated and often face extensive operational, land-use and water-resource obstacles. A cesspool ban would also hurt the real estate market. Section 27-21.6, Hawaii Revised Statutes, assigns to the counties the regulation of individual wastewater systems and private wastewater treatment works. Counties already exercise their authority to perform effective regulation and prohibit certain on-site means of wastewater disposal. The counties’ right to home rule must be upheld. An amendment to the administrative rules is not needed. On behalf of the residents in our county, I will oppose it. In recent legislative sessions, the state has introduced various measures to regulate the use of cesspools – all of which died because of strong public opposition. After failing to get legislation passed, the Department of Health is now turning to an administrative process. Again, the voice of the people is needed to let health officials understand the unintended consequences of the proposed ban. On Oct. 2 at 10:30 a.m., a public hearing will be held on Oahu, with comments received from the Neighbor Islands via videoconferencing. The Maui videoconferencing site is at the Department of Health office in the Wailuku Millyard at 210 Imi Kala St., Suite 204. 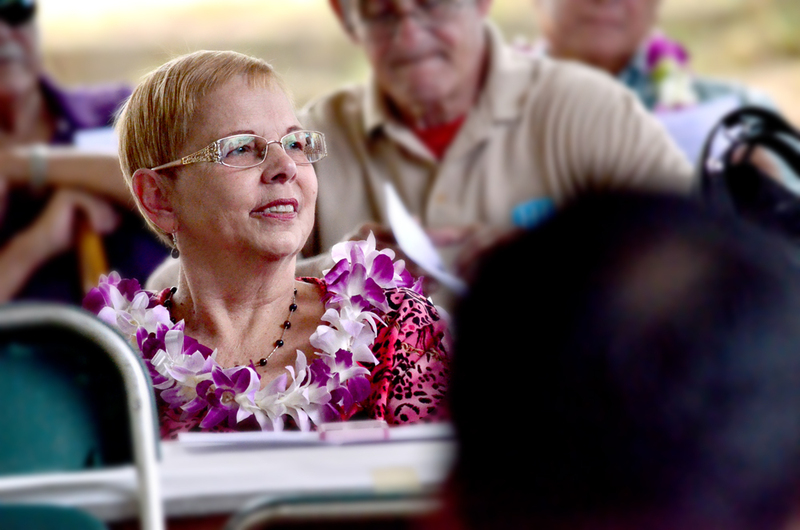 * Gladys C. Baisa is chairwoman of the Maui County Council and holds the council’s Pukalani-Kula-Ulupalakua area residency seat. “Chair’s 3 Minutes” is a weekly column to explain the latest news on county legislative matters.